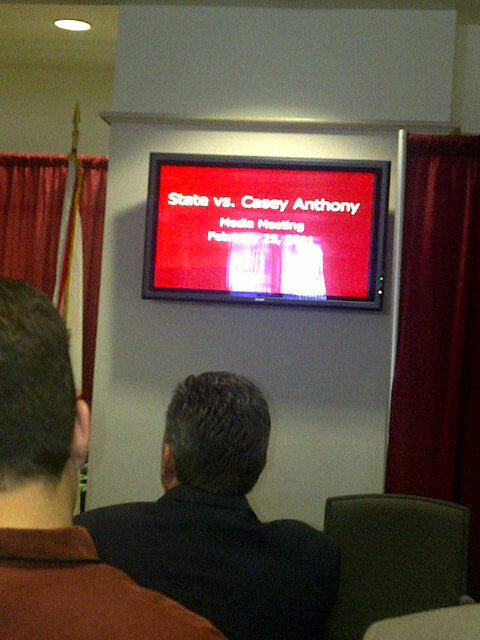 In another step towards the trial of Casey Anthony for the murder of Caylee, her daughter was taken today when media representatives were invited to a briefing by the Orange County Court Administrators. 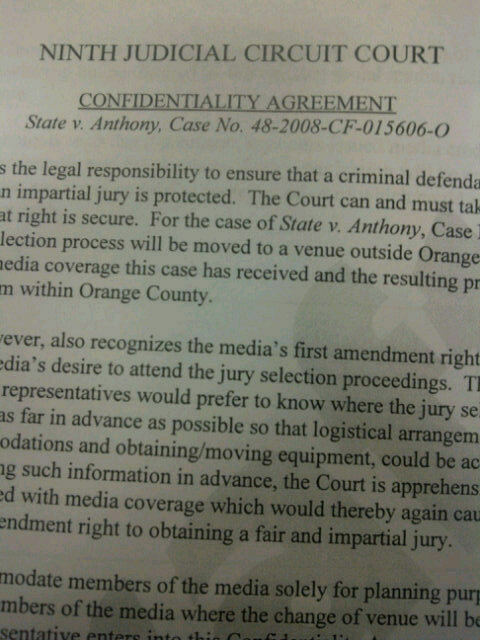 The purpose of this briefing was to go over the details of how the press will cover the trial. It is turning out that this is going to be a case that will have some of the heaviest press coverage Orlando has ever seen. Early in the briefing the agreement pictured was introduced to the members of the media. This turned out to be the highlight of the meeting as the reporters and other staff members of the “traditional media” raised a number of concerns over how the announcement of when Judge Perry would announce where the jury would be selected from. 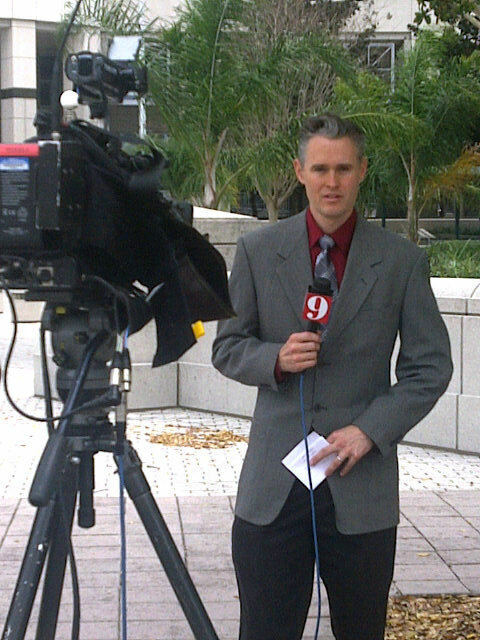 The largest bone of contention of the media was that since the jury selection process WOULD NOT BE DONE IN ORLANDO, they were concerned about someone not signing the agreement finding out the location of the jury and thus “scoop” them on the story. The administrator reminded the media representatives that this was just an early outline of what was to be the process once the trial begins and that the court would notify the media once everything was put into place. Several announcements were made regarding the trial. The first announcement was that pending any changes, The trial would begin on May 19th at 8:45 in the morning. The times might vary in the event something comes up during the trial that needs to be address earlier in the morning. The jury will be sequestered once the selection is processed and there are strict guidelines that anyone covering the trial needs to adhere to. Judge Perry has ordered that there be no photography on the floor where the hearing room is located. There will be a pool photographer to get shots of everyone going into or out of the courtroom. All of the live trucks as well as a large elevated stage will be located in a large field directly across from the courthouse. No satellite trucks will be located in the regular parking space where news vans park. The court has also designated “an overflow” room for media representatives to view the trial over the multimedia feed from the courtroom. The main courtroom is expected to fill up rapidly and Judge Perry is working so that the mix of the media representatives and the general public who wish to view the trial in the courtroom will have an equal opportunity to do so. Members of the general public who wish to view the trial inside the courtroom will get a ticket. How the public will be chosen to get their ticket has not been worked out by the court just yet. A lot is going to depend on how many from the general public gets inside the courtroom. 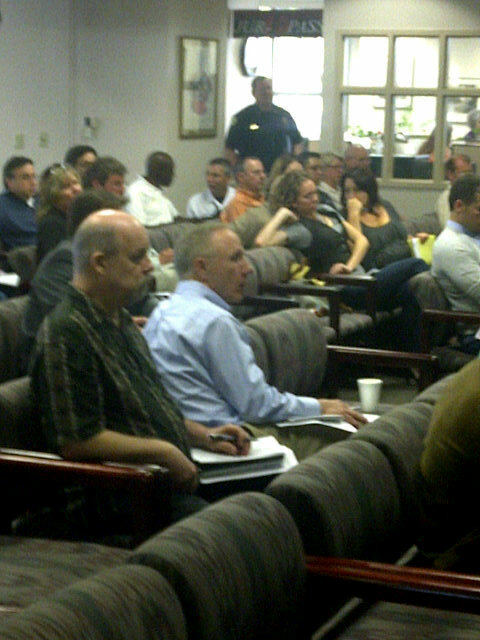 Deputies from The Orange County Sheriff’s department, who are in charge of security at the courthouse came before the Media representatives to outline OCSO policies regarding access and conduct. OCSO has adopted a “one strike your’e out.” policy. If any member of the media violates the rules that have been set up, their media credentials will be taken away and not returned. As we get closer to the trial date, the Administrator will hold another meeting to finalize everything and brief media representatives on any changes made. This entry was posted on Friday, February 25th, 2011 at 6:07 pm by murtwitnessonelive and is filed under Uncategorized. You can follow any responses to this entry through the RSS 2.0 feed. You can leave a response, or trackback from your own site.